PPI’s approach begins with identifying market trends, undertaking surveys, and engaging our Advisory Board and Technical Committee to determine areas of value and priority. Planned PPI research activity generally falls into one of three categories – theory, model, and control. 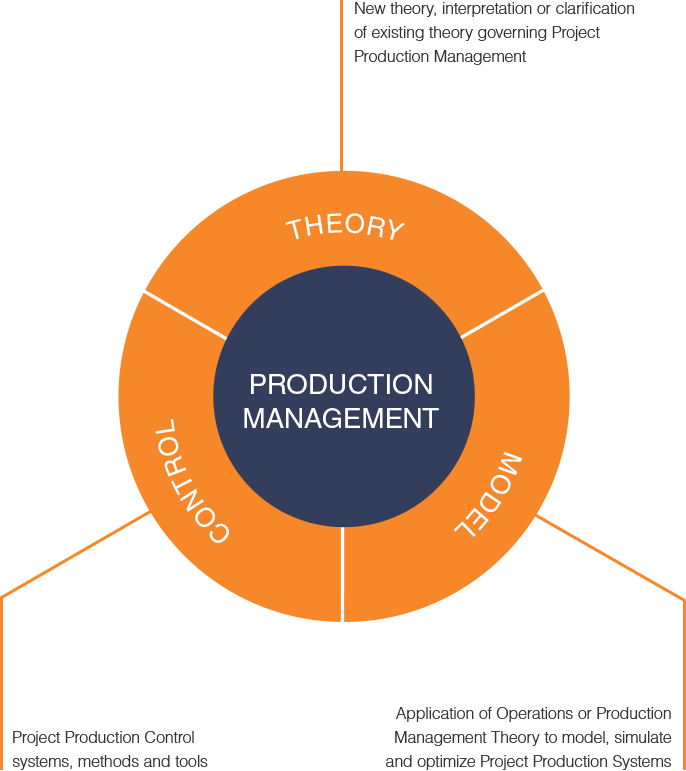 Work on production management theory includes both expanding the current knowledge base as well as helping interpret and communicate existing theory. Production theory is considered to be generally applicable across practice domains or types of projects. For example, Little’s law relates throughput, inventory and cycle time, and applies equally to the challenge of manufacturing computers and to building a process plant or a highway. The application of production management theory to real world problems such as gas field development or data center construction is the process of developing and analyzing domain or project specific production models. One example is defining, modeling and analyzing the various components of cycle time in a rebar fabrication operation. Research about models includes simulation or optimization activity, such as understanding the factors that influence or support higher well delivery throughput. Control focuses on the use of various systems, methods and tools, that are used to control project production systems. These include physical mechanisms, software systems and human based decision making / communications methods. Once a research opportunity is identified it is reviewed by PPI and, if approved, a research plan is developed, funded, and executed. Research is performed through relationships with select academic partners including Stanford University, the University of California at Berkeley, other leading institutions and industry participants. The results of PPI research are disseminated through several channels.